There is a way of working in the natural flow of things and in the natural flow of mana. At the Hawaiian Lomilomi Association Conference this year, we were graced by the presence of an amazing scholar on the Hawaiian moon calendar. Her name is Kalei Nu’uhiwa, Kaulana Mahina. She is one of the keepers of the knowledge of the moon phases and its importance in our ancient culture and modern society. I am a La’au Lapa’au practitioner. I’ve been studying these Hawaiian medicinal practices for several years. It is a lifelong study to identify, pick, plant, and use these wonderful gifts from the earth. After all these years, my knowledge of it is just scratching the surface. Consider the moon’s relationship to the water. Water in the body. In the tides. The saps in the plants and trees…in everything! Drawing from the knowledge of Mahina, the moon, I was inspired to learn about all of the different ways the she can effect our gathering of la’au. I wanted to share some of that with all of you. In the first six nights of our Hawaiian moon phases between Hilo and Kupau, the water is in the roots. If you are harvesting root medicine like uhaloa, ‘awa, or Olena, any of these roots, this is the time of high mana to gather those things. It doesn’t mean the roots aren’t still useful at other times, but this phase of moon is when the potency would be the greatest. In the next five nights from ‘Olekukahi to Huna, the sap moves from the roots into the trunk. If you need wood for your canoe, this is the moon phase for gathering. Want to make kapa? Bark harvested from the Wauke (paper mulberry) tree can be used for marking this bark cloth. The bark of the Hau tree is used to make a lubricant for mothers during childbirth. All of these would optimal to gather during these five nights of the moon phase. The following 9 moons Mahalu to La’au Pau is a time when the water flows to the leaves. Gathering ti leaf or Noni leaf to use for drawing the heat of inflammation. Gathering ‘awa leaf to make a salve, or koa leaves to make a poultice for broken bones and ligaments. Leaves will have the highest mana during these phases of the moon. The next 6 nights, the water goes back into the trunk from ‘Ole khaki to Kaloapau. Finally, the last four phases from Kane to Muku, the water returns to the roots once again. We are, ourselves, full of water, 65-85% water, depending on your age. Consider this…could there be more beneficial times for us to get massage work on certain areas of our bodies? We are just like the trees when we are in the time of our mana. This would be an exciting experiment. Just think – we could challenge others to begin case studies to share at the Hawaiian Lomi Lomi Association conference next year! Start thinking about the different areas of the body. Trunk vs Limbs. Roots. Perhaps the roots might be your nerves…or the small vessels. Maybe the trunks or branches could be likened to bronchials in the tree of the lungs. All things to think about when you are working on the body, and which might be more favorable days to be working in those areas? I’m excited to explore these possibilities in my own practice. If there are high mana days, there are also days that we consider to be ‘ole (nothing) days that aren’t favorable for planting, harvesting or fishing. They are days when it’s just best to NOT DO. Our ancestors had a deep and great understanding of times of rest. In our fast-paced society, we’re likely to miss it. Today, during the ‘Ole days, instead of planting, fishing and gathering maybe it would serve us best to do something else. Perhaps organizing what we want to do next? Planning out the next time we plant, or maybe planning our next excursion to go harvesting? Maybe those are times when we clean our equipment and make sure it’s all functioning, in preparation for the next time we plant or harvest. It just amazes me how our kupuna -ancestors understood these things. They knew not to trim the trees on certain days because it would just grow back faster. They learned to just stick with the moon phases and cut on the day that is meant to be cut, then those plants would stay cut back for much longer, and their efforts wouldn’t be in vain. It’s a way of working in the natural flow of things and in the natural flow of mana. There is no need to push your way through. Work together with the elements, the cosmos and the celestial bodies. 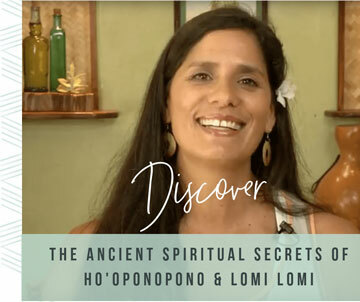 If you want to learn more about Kalei, here’s a link to her video presentation on Kaulana Mahina. I’d love to hear your findings. Please, please, please comment on what you find in working with the body, AND any insights you might have yourself about following these different moon phases. Let’s take the next month, beginning with the first day of the Hawaiian moon calendar, which would begin on November 29. We will have a little pow-wow on our online Facebook ‘ohana.